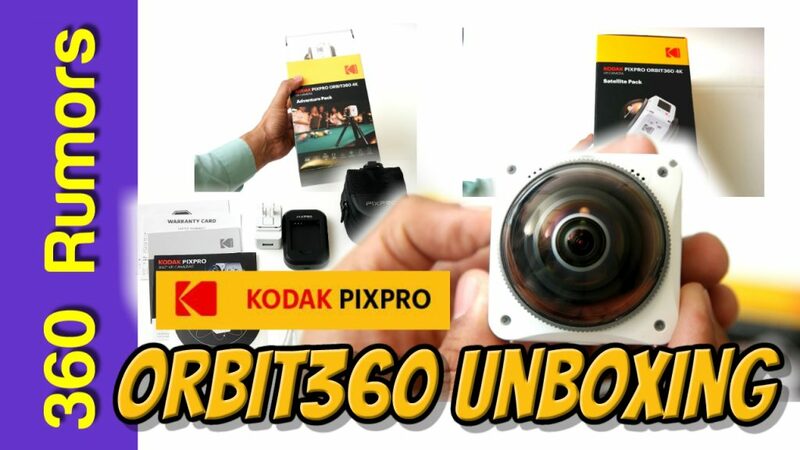 I’m not yet done with Part 2 of my review (here’s part 1) but here are a couple of updates on the Orbit360: first an unboxing video, and second, a tutorial for live streaming (yes you can live stream with the Orbit360 via desktop). BTW I also updated my review to add information about adjusting the stitching on photos. Apparently, the Orbit360 can live stream with a desktop at 1920 x 960 resolution. Here is a tutorial for live streaming with the Orbit360. This tutorial is by Webber Mi. I learned from a Kodak representative that the photo stitching can be customized after all. There is an option to shoot photos unstitched in double fisheye format. 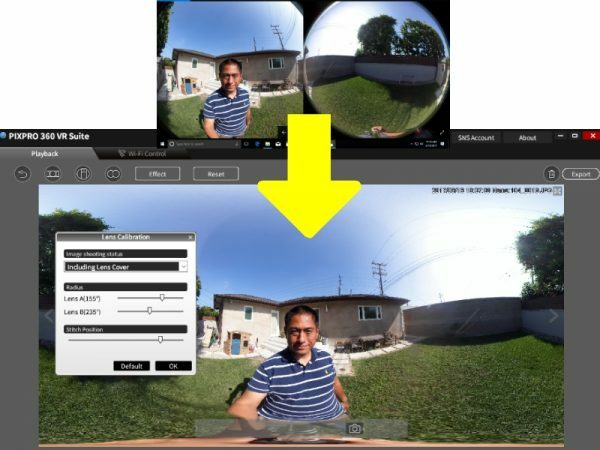 The unstitched photo can be loaded into your desktop PIXPRO VR software, where you can customize the stitching by adjusting the stitching distance for each lens, and by controlling how much of the final image uses the front lens, and how much is from the rear lens. I’m still working on Part 2 of my review, and I’ll try to finish it as soon as possible. Insta360 will launch new 360 camera (Insta360 ONE) on August 28: here are 10 observations and predictions!